Scribner Book Company, 9780743218030, 320pp. The last of a manufacturing dynasty in a dying industrial town, Bill lives alone in the family mansion and works for the "Truth," the moribund local paper. He yearns to write long philosophical pieces about the American dream gone sour, not the flaccid write-ups of bake-off contests demanded by the "Truth." Then, old man Lawton goes missing, and suspicion fixes on his son, Ronny. Paradoxically, the specter of violent death breathes new life into the town. For Bill, a deeper and more disturbing involvement with the Lawtons ensues. The Lawton murder and the obsessions it awakes in the town come to symbolize the mood of a nation on the edge. 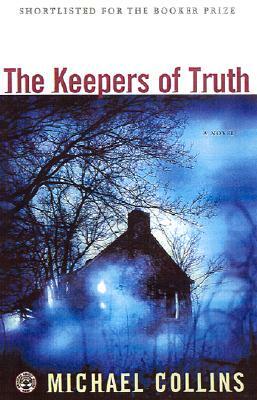 Compulsively readable, "The Keepers of Truth" startles both with its insights and with Collins's powerful, incisive writing.